When it comes to sleep, everyone has their own look towards if they are comfortable at night. Personally, there is only one thing that I dislike when it comes to sleep besides being woken up, and that’s being hot. Sometimes it can be irritating sleeping with one leg sticking out from under the covers. Also, don’t like seeing a wrinkly mess on my bed, and I’m probably not the only one who’s like that. Don’t you wish that there was a good way for you to solve this problem? Well, what if I told you that the solution to your problem is finally here. I have a product for you that is sure to make things easier for you when it comes to sleeping at night. So check out the information on the product selection I have for you below. The search for the right sheets to keep your comfortable at night is finally over thanks to the Nanotex® 300-Thread-Count Sheet Set. 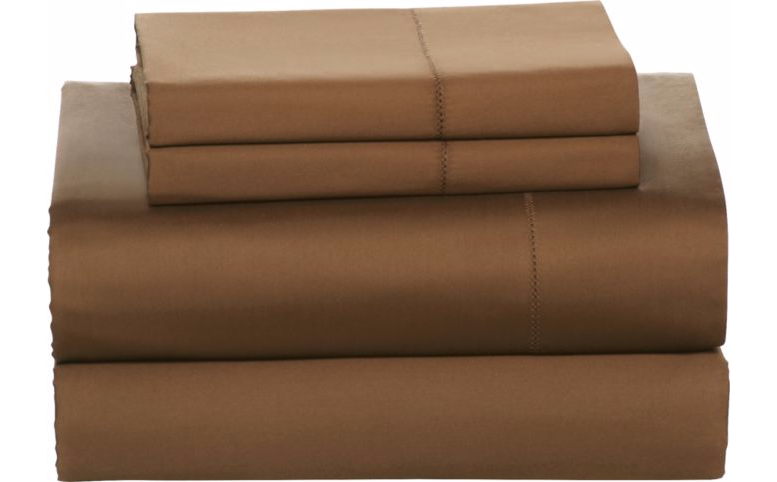 These sheets are exactly what you need to make sure your nights stay calm and comfortable. Although, what makes these sheets so different from the ones you have now. Well, these sheets feature a unique state-of-the-art nanotechnology. Twin; Flat (66” x 96”), Fitted (39” x 75”), Pillowcase (20″ x 30″). Full; Flat (81” x 96”), Fitted (54” x 75”), Pillowcases (20″ x 30″). Queen; Flat (90” x 102”), Fitted (60” x 80”), Pillowcases (20″ x 30″). King; Flat (108” x 102”), Fitted (78” x 80”), Pillowcases (20″ x 40″). So why not give your bed the perfect new beginning in order to keep you comfortable at night. It’s the perfect solution that you just can’t pass up. So with that being said, check out the information on the product selection that I have for you above.